This week, thousands of English cricket supporters will arrive in St Lucia for the third test match of the series between England and the Windies. It is anticipated that many other holiday makers currently in St Lucia will be tempted to venture from their resorts attend the game, which will be England’s first ever test match in St Lucia, near Gros Islet on Saturday 9th February. Windies superstar captain Jason Holder has been controversially banned from playing in St Lucia by the international cricket authorities. The Barmy Army and the rest of England’s travelling supporters will be hoping that Joe Root, Ben Stokes, Jos Buttler, James Anderson and teammates can put in a face saving performance after England’s drubbing in the first two matches of the series. Beyond the cricket, the Windies’ first test match against England in St Lucia offers a great opportunity to show off the vibrancy and beauty of the island’s culture and environment. However, it also raises some key concerns as to the safety and security of the tourists. The Third Test match, alongside the fifth one day international and the first T20 international of the series that follow, will all take place at the Darren Sammy Stadium at Beausejour, Gros Islet. Officials estimate that over 2,000 England fans will travel to St Lucia to watch the cricket over the next few weeks. 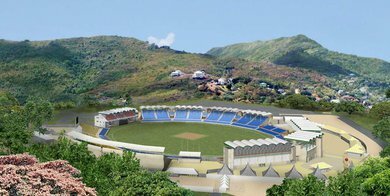 We urge tourists visiting St Lucia for the cricket to have a fantastic time and enjoy the wonderful hospitality, sport and scenery on offer. But they must also be aware that St Lucia can be a dangerous place for tourists. There are some crucial steps visitors should be conscious of. There is growing international awareness of St Lucia’s troubles with violent crime. Research done by the Justice for Roger campaign since Roger Pratt was murdered in St Lucia five years ago suggests that tourists are being targeted with increasing frequency by criminal elements on the island. Less widely reported, but still of concern, is the recent spate of targeted attacks on cruise ship visitors in Serenity Park, a popular tourist attraction in Castries. While we can’t say for certain whether British visitors and expats are particularly targeted, our analysis of local media reports show that more British citizens have been murdered in St Lucia in recent years than people from any other overseas territory. Cricket is a game that unites the Caribbean and provides a wonderful opportunity for tourists to experience St Lucia. Have a wonderful time, but please take care, be vigilant and enjoy the island in a safe and secure way.